Jaguar is getting wired for 2005. From this spring, all new Jaguars will be available with Bluetooth connectivity for safe, easy, hands-free cell phone operation. "Our customers tell us their most important requirement for telecommunications in the car is for them to be able to use their phone in a safe, legal and convenient manner. Bluetooth provides that," says C.J. O'Donnell, Executive VP of Marketing, Sales and Communications, Jaguar North America. With a Bluetooth wireless module installed, an owner's cell phone automatically links with the car's system. The phone can be left in the driver's bag or pocket without needing to be docked into the vehicle. Once linked to the car, Bluetooth enables the phone to be operated either through the car's steering wheel controls, or a key pad either on the radio head unit, or within the car's optional navigation system screen. The system also allows a cell phone's phonebook entries to be downloaded to the vehicle memory. In cars fitted with the optional JaguarVoice system, numbers can be automatically dialed by voice command. In addition to all new Jaguars being Bluetooth compatible, the system can also be retro-fitted by Jaguar retailers to 2004 model year XJs, as well as some 2004 S-TYPE, 2003 XK and 2003 X-TYPE models. 2005 XKR Owners of Jaguar’s XK sports car are the most loyal of all prestige sports car buyers, according to leading automotive information group, R.L. 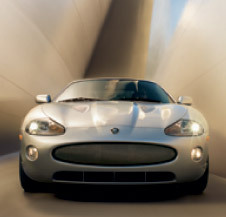 Polk & Co. Jaguar’s iconic XK won the coveted Prestige Sports Car category in the ninth annual Polk Automotive Loyalty Awards, which recognize manufacturers for superior owner loyalty performance. “Since its introduction in 1996, the XK has evoked immense passion from its owners, and these honors highlight that passion,” said Gary Temple, Vice President of Customer Service for Aston Martin Jaguar Land Rover North America. In the Polk awards, loyalty is determined when a household that owns a new vehicle, returns to buy or lease another new vehicle of the same model or make. Jaguar is using the North American auto show 'circuit' to gather key customer feedback on its stunning Advanced Lightweight Coupe concept. After its world debut at January's North American International Auto Show in Detroit, the Advanced Lightweight Coupe took center stage at this month's Chicago auto show. In March, it makes a stop at the New York International Auto Show. "The reaction from potential customers has been sensational. They tell us they want it, and want it now," says C.J. O'Donnell, Executive VP of Marketing, Sales and Communications, Jaguar North America. Created by the Jaguar advanced design team in Coventry, England under the watchful eye of renowned Design Director, Ian Callum, the sensuous 2+2 show car features lightweight aluminum body architecture similar to the one pioneered with the new XJ sedan. "Auto shows provide us with invaluable feedback from literally thousands of potential customers. Everyone has a viewpoint on what they like or don't like about the car," explains Callum. Laid out in a classic 2+2 sports car format, the interior of the Advanced Lightweight Coupe is more spacious and better packaged than any previous Jaguar sports car. Rich, hand-stitched tan leather and aluminum inserts give the cabin a modern, contemporary feel. 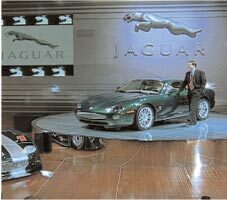 "The Advanced Lightweight Coupe represents the very essence of Jaguar, its heart and soul. 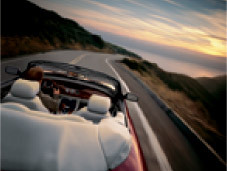 If you want to know what lies ahead for us, what direction we will take - this is Jaguar's answer," said Joe Greenwell, Chairman and CEO, Jaguar Cars. 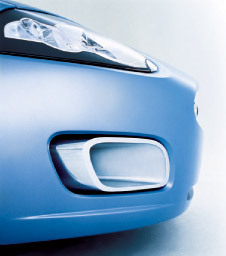 "Its design is assertive and pure - a perfect symbol for our 21st century cars. And beneath that beautiful body lies the heart and soul of a true Jaguar," adds Greenwell. Jaguar has unveiled a striking 'Victory' edition of its iconic XK sports car to celebrate its four championship wins in the hard-fought North American Trans-Am road racing series. Just 1,050 of the special 'Victory' edition XKs - based on the upcoming 2006 XK line-up - will be sold in the US, beginning in June 2005. "The XK Victory edition is not only a celebration of the XK's success in Trans-Am, but also its enduring success as one of the world's most refined GT cars," said C.J. O'Donnell, Executive Vice President, Marketing, Sales and Communications, Jaguar North America. During the 2004 Trans-Am season, a racing version of the XKR coupe gave Jaguar its fourth outright Manufacturer's Championship - and propelled driver Paul Gentilozzi to his 29th career Trans-Am victory, tying the legendary Mark Donohue's career Trans-Am win record. All four XK models - XK8 Coupe and Convertible and supercharged XKR Coupe and Convertible - will be offered as 'Victory' edition models. They will be available in four limited-edition exterior colors - Copper Black Metallic, Frost Blue Metallic, Bay Blue Metallic, and Satin Silver Metallic - in addition to many current exterior colors. For the XK8, 19-inch 'Atlas' style alloy wheels will feature a chrome finish, while the XKR models will get new, unique 20-inch BBS wheels. Inside, the seating surfaces and interior trim feature special soft-grain leather, with carbon fiber interior trim standard on the XKR and a unique Elm veneer trim standard on the XK8. Tying in with the XK's racing heritage, the 'Victory' edition models will have special badging and polished door treadplates featuring checkered flag emblems. 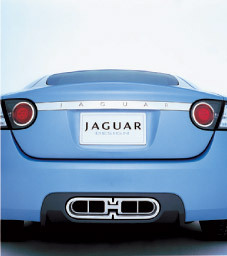 Success in the showroom, success in the market, success on the race track - those are Jaguar North America's key goals for 2005. "We had our share of problems in 2004, but we see a great opportunity to build on our successes during the coming year," said C.J. O'Donnell, Executive Vice President, Marketing, Sales and Communications, Jaguar North America. Those successes include ranking first in J.D. Power and Associates' 2004 Sales Satisfaction Index (tied with Lexus), and finishing third overall - as the highest-placed European nameplate - in J.D. Power's 2004 Initial Quality Study. And, continued success for Jaguar's pre-owned vehicle program. For the fourth consecutive year, Jaguar Select Edition clinched the IntelliChoice award for the Best Certified Pre-Owned Vehicle Program in the luxury class segment. "These are not 'fluff' awards. These are the nuts and bolts of car buying. These are the awards that are important to our existing customers and our future customers," explained O'Donnell. New marketing and advertising campaigns for 2005 will focus on attracting what O'Donnell calls 'fond rejectors'. These are the car buyers who know and love the Jaguar brand, who have an affinity with the marque, and love the styling, but for some reason reject it because of perceived quality issues. "Our success in J.D. Power SSI, in IntelliChoice, and, most important, in J.D. Power's Initial Quality Survey really shatter those misconceptions. That is the message we will be communicating." Jaguar's Select Edition Racing vintage E-Types kick-off their 2005 season at the classic 12 Hours of Sebring race meeting, in Sebring, Florida, March 17-19. 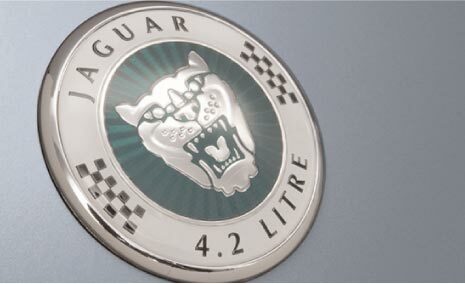 This race celebrates the 50th anniversary of Jaguar's first win at the Sebring 12-hour race. 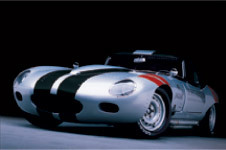 For the third year, Jaguar North America is backing renowned vintage Jaguar specialists, Massachusetts-based Donovan Motorcar Services to campaign the Select Edition Racing E-Types at 10 key historic racing events throughout the 2005 season. The team's appearances will also provide a key backdrop to a series of six Jaguar North America 'Born to Perform Tour' customer events. These provide owners and potential customers with VIP hospitality during race weekend. "Vintage racing continues to create a unique opportunity for us to reach out to new customers, and promote Jaguar's award-winning Select Edition pre-owned vehicle program," explains Tom Scarpello, Vice President of Marketing, Jaguar North America. Select Edition racing promotes Jaguar's award-winning Certified Pre-owned vehicle program, which has been recognized by Intellichoice as the No.1 pre-owned program for the past 5 consecutive years. For 2005, Jaguar will once again be the lead sponsor for the Wine Country Classic race weekend at the Infineon Raceway, California June 3-5 and the Brian Redman International Challenge races at Road America, Wisconsin July 14-17.